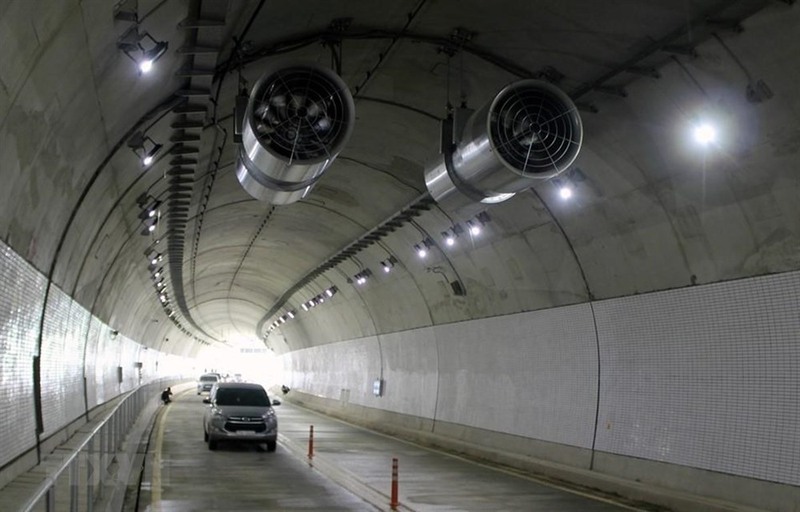 BÌNH ĐỊNH — Tolls would start being collected at the recently completed Cù Mông Tunnel from April 1, according to Đèo Cả Investment Stock Company, the project’s investor. Fees of VNĐ60,000 (US$2.6) will be charged for under 12-seat cars, buses and under two tonne-capacity trucks, and VNĐ70,000 ($3) for vehicles from 12 to 30 seats and trucks with a capacity of up to four tonnes. 40-feet container trucks will pay VNĐ220,000 ($9.5). Monthly passes will also be available. When the toll booths open, people will have the option to pay to use the tunnel or take the mountain pass for free, said a company representative. The tunnel through the Cù Mông Mountain Pass connecting Bình Định and Phú Yên provinces cost VNĐ3.92 trillion ($174 million) and was completed in January after three years of the construction. The tunnel was put into operation on January 17 and was free to use for the first three months. It has a total length of 6.6km, including a 2.6km approach road.